When fame is utilized for negative purposes it brings shame to the person and to the community. Pakistani supermodel Ayyan was arrested Saturday at the Benazir International Airport after customs allegedly recovered $500,000 from her luggage. 21-year old model was travelling to Dubai from Islamabad, currency was found when the luggage was booked on a flight was checked, customs officials said. A money laundering case was registered against her as customs regulations do not allow taking such a huge sum of undeclared money out of the country, they said. 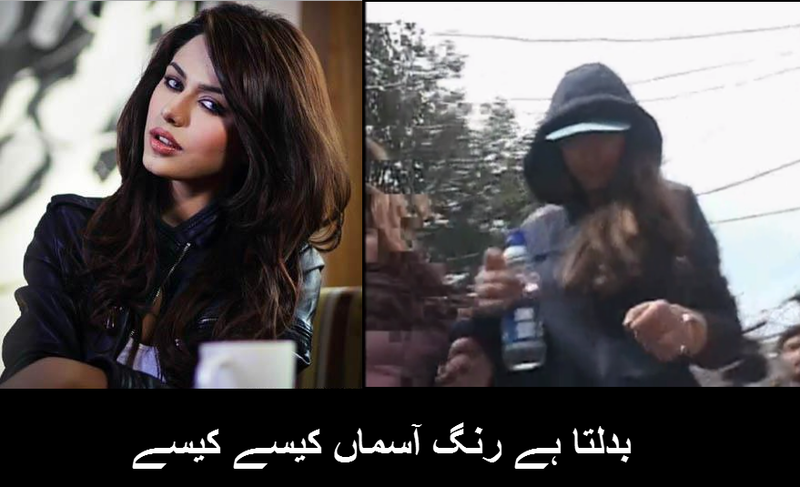 An investigation has been launched and Ayyan was taken to a government hospital for medical check-up as routine since female offenders are medically examined before being lodged in jail. One of the leading names in the Pakistan modelling circuit, Ayyan in recent years had also tried her hand at music. She released a song titled ‘You and I’ last year and followed it up with an album. Under law, money laundering is punishable with rigorous imprisonment for a term which shall not be less than one year but may extend to 10 years. The offence is also liable to fines which may extend to Rs1 million and also forfeiture of property involved in the money-laundering. The supermodel debuted in the fashion world in 2010 and was present in the fashion world till February 2014. She is one of the highest-paid models of the fashion industry in Pakistan. She was off screen from few months. She was shown hiding her face when escorted by Police. She was wearing Abbaya on airport as if she wanted to hide her identity. Such act is shameful and investigation is under way. She misused her fame and now if she found guilty it will destroy her modelling career as well.